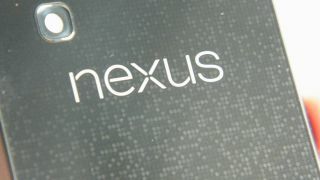 Nexus has seen a bit of a resurgence this month, with Google outing a stock Android Galaxy S4 at IO and HTC unwrapping news of a Nexus UX One landing next month today. Google itself isn't done with the Nexus line of products either, at least according to Android/Chrome chief Sundar Pichai. On stage at the AllThingsD D11 conference, Pichai was asked point blank if Google is done making Nexus products, particularly as Google grows an open Android ecosystem that lets OEMs and carriers leave customized software fingerprints on devices. "The goal behind Nexus was to push on hardware too," Pichai said. "The goal behind Nexus is to make sure we always are investing in cutting edge hardware along with our partners and guiding the ecosystem to the next devices we need to do. So that will continue as well." Pichai, by the way, had with him the Sense-less HTC One, a phone that will hit Google Play June 26 for $599 (around UK£395, AU$622). He said this is Google's take Android, "how we intended the user experience to be on Nexus devices." Pichai later fielded a query about whether Google sees a problem in Samsung's dominance of the Android hardware market. "We actually owe a lot of success in Android to what [Samsung has] done," he answered. "A vast majority of their phones are based on Android, so I see a pretty symbiotic relationship, and we intend to keep it that way. Look at Intel and Microsoft, they collaborated for many years." Apparently it doesn't really matter for Google whether there are one or many major players in the Android space. "It's not just the operating system, but it's the services on top of it, the cloud services," Pichai posed. "Look at search, Maps, YouTube - we do crazy things to make Maps happen - fly planes, drive cars. And we have more coming. We have Google Now. And I think that's where the innovation lies. I don't see it as a zero-sum game because the industry is exploding." Pichai noted that even though Motorola is developing the Moto X from within Google, he's no more excited about it than a device coming from Samsung. Very diplomatic, Mr. Pichai. There are a few intriguing features of the Moto X worth checking out.